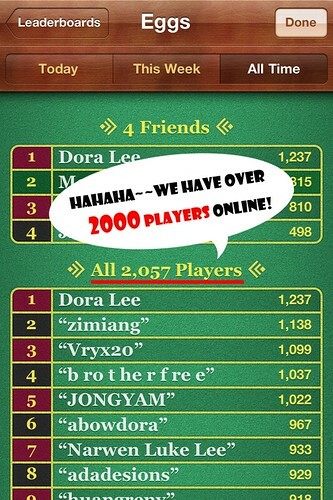 MolioApp: (ChickenEggs) We have more than 2000 players online, and growing!!! (ChickenEggs) We have more than 2000 players online, and growing!!! A picture says more than a thousand words!!! Hey...Who are you? "b r o t h e r f r e e"!! !